You may have noticed that the prices about PCB boards are fluctuated from time to time. Even some experienced purchasers are unable to know the exact reasons for the changeable PCB prices. Taking ordinary double-sided boards as an example, the sheets generally have FR-4, CEM-3 and the like, the thickness ranges from 0.6 mm to 3.0 mm, and the copper thickness varies from 1/2 Oz to 3 Oz, all those can make a huge price difference. In terms of PCB solder mask, there is a price difference between ordinary thermosetting oil and photosensitive green oil. Thus, different materials lead to various price. Different production processes can result in different costs. Such as gold-plated board and tin plate, their different prices caused by the shape made by milling board or punching board, use silk screen lines or dry film lines, etc. 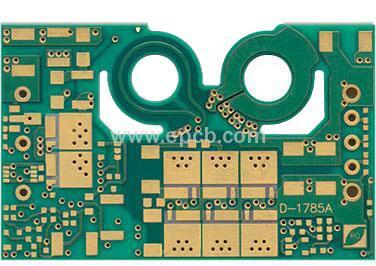 Even use the same material and manufacturing process, the difficulty of PCB itself will result in different costs. For example, if 1000 holes are required on two circuit boards, a plate aperture greater than 0.6mm and another plate aperture are less than 0.6mm will form a different drilling costs; two same printed circuit boards have different line width and line spacing, one is greater than 0.2mm, another is less than 0.2mm, will result in different production costs. That’s because boards which are difficult to fabricate always have a higher defective rate, thus the cost must be increased. The level of customer requirements will directly affect the board yield, such as a board may have 98% pass rate if it is checked according to IPC-A-600E Class1, while the rate may be only 90% according to Class3. Thus, different level will result in different PCB board cost. Different PCB manufacturers have different quotation, because their various manufacturing levels of technology and equipment will form a different cost. For example, some manufacturers are good at producing gold-plated boards, while some are specialize in tin-plated boards. Generally, PCB manufacturers adjust their PCB prices according to different payment methods, ranging from 5% -10%, thus resulting in price differences. In China, PCB price will increased bit by bit from south to north. Prices in different regions have some differences, so the region needs to be considered when choosing your PCB manufacturer.